I’m eagerly anticipating the arrival of several new albums in August. Releases from Texas singer-songwriter Carson McHone (Goodluck Man on August 1) and Canadian critical darling Lindi Ortega (Faded Gloryville on August 7) should be excellent. Additionally, Canadian Whitney Rose’s Raul Malo-helmed album Heartbreaker of the Year will also become available in the US during the month (August 21). 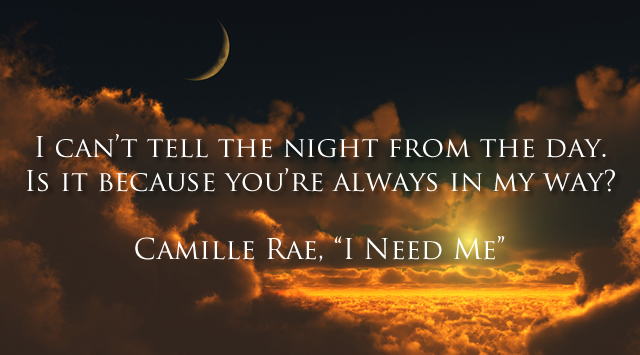 One artist who’s caught my attention in recent months is up-and-comer Camille Rae, a Kentucky native whose full length album I Need Me is due out on August 4. Bursting with ambition, the former music teacher, who counts Reba McEntire, Martina McBride, Faith Hill, and Trisha Yearwood among her main influences, readily admits that she wants to inspire people on a large scale. She can frequently be found playing around Nashville, both solo and with her band District 26, armed with an arsenal of confessional songs elevated by her powerful vocals. Rae demonstrates a great knack for crafting songs that are personal yet also have commercial appeal. Your last paragraph says it all – so true. Nice blog.